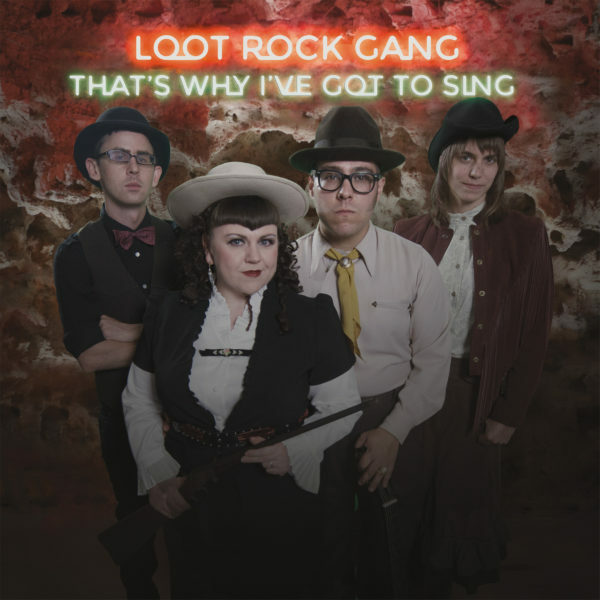 The Loot Rock Gang was formed in 2012 by husband and wife vocal duo Mat and Rachel Wilson. Rachel settled in to Saint Louis after a career of traveling with the female Rockabilly duo The Casey Sisters, and as the Rhythm and Blues vocal powerhouse known as Little Rachel. Mat, as the vocalist and guitarist for the successful acoustic blues trio, The Rum Drum Ramblers, found the need for an additional project, when the other two Ramblers began touring extensively with Pokey LaFarge. To back the duo with a tight, solid rhythm, they looked to Stephen Inman, who played bass with Mat in his earlier punk band, Nineteen, and had made an impressive switch to acoustic upright bass. The icing on the cake came when Kellie Everett (multi-instrumentalist and vocalist in bands like the Southwest Watson Sweethearts and Sidney Street Shakers) was added to the band, with her melodic baritone saxophone, to compliment Stephen’s driving rhythm, the intricacies provided by Mat’s unique songwriting and stellar resonator guitar work, and the strong, soulful vocals of the fronting duo of Mat and Rachel. Kellie also brings along her beau- Southwest Watson Sweethearts partner, and fellow Rum Drum Rambler- Ryan Koenig, to play percussion and occasional harmonica, when he is not on the road with Pokey LaFarge, or performing as country crooner Lonesome Cowboy Ryan. The Loot Rock Gang gathers their diverse set of influences, and the most traditional elements of blues, country, jazz, and rock n’ roll, in such a striking, unexpected way, that it takes a form palatable to modern listeners, as well as traditionalists. Whether you are swinging along, and tapping your toes to an infectious rhythm, or being drawn in by the emotional power of a strong, blues ballad, you will be part of the chemistry that makes the Loot Rock Gang a refreshingly remarkable listening experience for all.